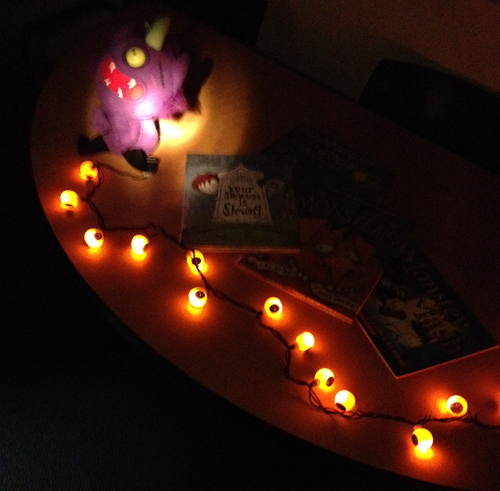 Yesterday I held a Halloween storytime for two classes from SRVS. I know, I know - it's only the beginning of October! But for now, this program is only held once a month, so I had to share these excellent books while I could! See the setup in a better light here. I encouraged the group to speak/sing along as I read Monster Mash; we also listened to the song by Bobby "Boris" Pickett and danced. 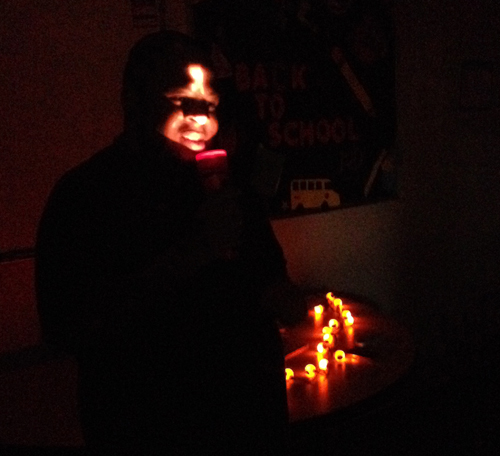 Then I turned off all the lights and asked for volunteers to tell ghost stories. It was a fun program, but several of the individuals asked if we were making monster crafts. I had substituted the ghost stories section for craft time, since we have a little less than an hour for the whole program, and I pay for supplies out of pocket. For future Halloween programs, I'll definitely have a fun monster craft planned. Lesson learned! Halloween" and made a short video, so check it out for more on those titles. I've also written about previous library programs for adults with disabilities.